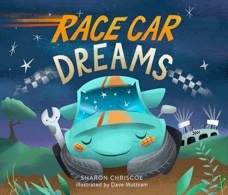 Today we're joined by Sharon Chriscoe, author of the just-released RACE CAR DREAMS from Running Press Kids. Sharon, thanks for joining us. I had a chance to read RACE CAR DREAMS, and it’s really cute! I predict a huge first place finish with little readers everywhere. Tell us about your book! Aw! Thank you so much, Jody! And thank you for having me on your wonderful blog! RACE CAR DREAMS is a rhyming bedtime story about a little race car getting ready for bed. After his high octane filled day at the track, he washes his rims at the Tickle-and-Wash, fills his tummy with oil at Guzzle-and-Gulp, and chooses a book from the Speedy-Reads Library that’s all about speed. Then, once toasty and warm, he drifts off to sleep, shifts into gear . . . and dreams of the race! A couple years ago while I was reading the super-talented Jane Yolen’s HOW DO DINOSAURS SAY GOODNIGHT? for around the tenth time, I found myself wanting my very own unique twist on a bedtime story. After much brainstorming, and some trial and error, it hit me . . . full throttle! A race car! Kids love race cars and I had never read about a race car getting ready for bed. I spent the next few weeks in my mobile office drafting those first words. Yep. That’s right, my office is not only mobile but it’s the passenger seat of a bread truck in which I work alongside my super supportive husband on our bread route. It took almost another year of tweaking the story, revision after revision, draft after draft (nearly 50 in total!) before Race Car became a book that was submission worthy. And I am so thankful to my wonderful critique partners and the SCBWI Blueboard members that encouraged me and helped me to get him all polished and shined. How did Race Car Dreams end up at Running Press Kids? My amazing agent Jessica Sinsheimer sent RACE CAR DREAMS out on submission March 18th, 2015 and right away we received a lot of interest in our little race car. We actually had an "I'm taking this to ed board" note in 35 minutes! Already he was breaking land speed records. On April 1st, we were thrilled to have Running Press Kids as our publisher. Yes, it was most definitely not April Fool’s Day at the Chriscoe house. The entire process took two weeks. Gotta love a fast race car! I'll say! Do you have a favorite line or spread? I do! Of course, as the author, I love all of the lines. :) But I have to say my favorite is “He’s sleepy and full and ready to read. He chooses a book that’s all about speed.” The idea of a race car not only getting ready for bed, but reading a bedtime story of his own, is unique in its portrayal yet so normal in a child’s bedtime routine. As for my favorite spread, it actually coincides with my favorite lines. It’s the Speedy Reads Library scene where Race Car is choosing his book all about speed. I remember the first time I saw the little tree library and thinking it was just the cutest thing I had ever seen. I now have it displayed on my website. What are you working on now? Anything else in the pipeline? My editor, Julie and I recently wrapped up book two in the series. Here’s a summary of BULLDOZER DREAMS which releases in the fall of 2017: After a day of pushing, scooping, and clearing, a bulldozer shifts down his gears and prepares for bed. As he lifts his blade and his spotlights turn on, he rolls through the gate and heads to the Wiggle-and-Shake for a bath, the Sip-and-Slurp for a fill-up, and the Mighty-Reads Library for a bedtime story . . . and soon happy cheers fill his dreams as children swing, slide, and race on their new playground. As for what I’m working on now, let’s just say that there will be more of the vehicle dreams books hitting shelves in the future. Ooh, a mystery! Where can people find you online? Thanks, Sharon. It's been great hearing all about your books! Thank you again for having me Jody. It’s been so much fun! Houston, we may have a Blogger problem. Stay tuned! Congratulations, Sharon! This sounds like a book I will need to share with a little speedster in my family. What a great combination of themes! Yay, Sue, you made it through! I think we're good now, folks, so enter away for Sharon's book! Sue, you're first! Clever idea for a goodnight book! Sweet. Thank you for the wonderful interview and giveaway Jody! Sharon! I'm delighted to feature you and your book. Thanks for coming on! Sharon, I'm so excited for you that RACE CAR is now out in the big world! I'm sure he'll find his way into the hands of oodles of eager kids. Thank you for the interesting interview. And thank you, Jody, for hosting. My pleasure, Ev! Good luck. How amazing that Sharon writes from the co-pilot's seat of a bread truck. There must be a story in that! Thanks for a great interview, Sharon and Jody. Those smells would be inspiring enough, not to mention the vehicle angle, Julie! 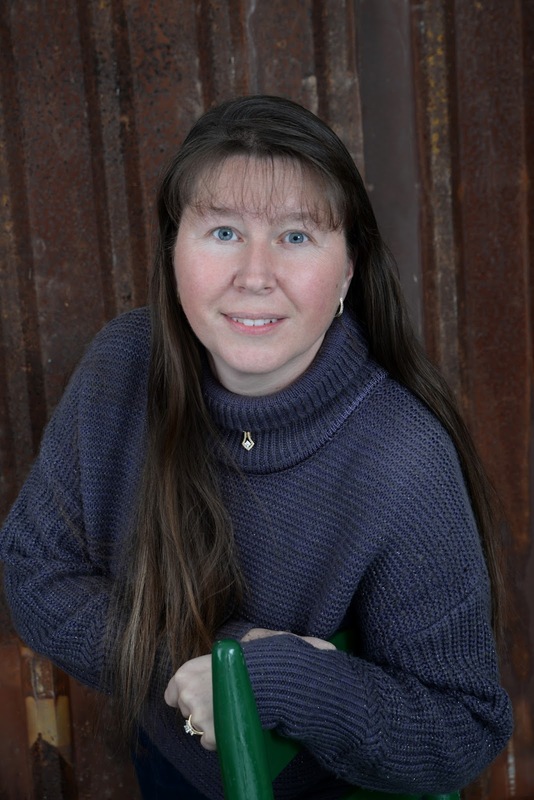 Great interview, Jody! 35 minutes to an acquisition meeting--that's SPEED! Thanks for sharing, Sharon! What a unique take on the ambiguous bed time story. So cute! AND What little boy won't love it! Totally agree, Lisa L! Sharon found a way to twist a familiar theme into a darling book. And....we have a winner for Sharon's RACE CAR DREAMS giveaway. Julie Murphy, come on down! Congratulations, Julie, and thanks, everyone for entering.